I am not the type of person who enjoys a lot of social stimulation. The bar scene and crowds are not for me. I would not enjoy New Year’s Eve in Time Square. A loud concert or stadium. For introverts like myself, the Osa Peninsula is the perfect location for to spend a peaceful and private get-away. Some individuals who favor this idyllic and remote region come for a much-needed break from the hectic busyness of their life. 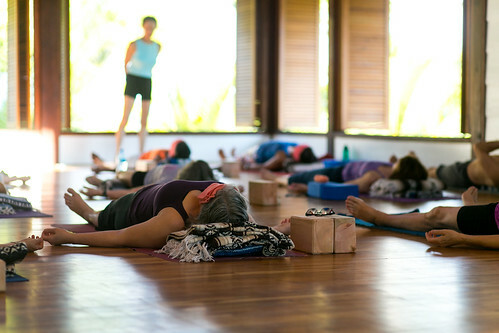 Other’s look forward to reaffirming their personal yoga and meditation practice. Because Blue Osa accommodates no more than thirty people loud crowds is never an issue. However, a majority of Blue Osa guests and volunteers find themselves in a period of transition. I believe it is essential for all of us to take time out to think about what is important to us. Taking time to clear and calm the mind enables me to concentrate. When I allow myself to stop long enough to know what I really want, I am open to guidance, direction and new possibilities. I can relate to Adrian Forsyth sentiment regarding being alone. I recall my fondest memory growing up my family and I were camping. I also woke first. I dressed and walked through the tall trees to the pond. There was not another soul around. The August sun was already bright and hot. Alone on the beach, I enjoyed the warm sand under my feet. Searching for the camouflaged toads concealed in the light sand. I waded in at the water’s edge where tadpoles in various stages of growth swam between my ankles. Across the pond which leads further into the woods, I hear the boisterous croak of full-grown bullfrogs. I smile as I remember that period in my life. Peaceful, serene, not a care in the world. The blue skies on hot summer days. School was out. I was away from the city. Away from peer-pressure. Appreciating the simplicity and pureness of what nature offers. Those were the days before Atari, cell phones, and the Internet. Visiting the Osa Peninsula in southern Costa Rica gives me a place where I can leave behind my adult concerns. Just as I left behind the worries and cares of adolescence. For a while, I give myself permission to care for myself in quiet solitude without judgement, explanation or interruptions. Forsyth referred to this as “social separation.” Generally, individuals who seek social separation are needing more than just a break from work and daily routine. For myself, I need space to collect myself. Stop the constant talking and thinking. Stop the noise. Inside and out. I need time to be still, silent and breath. The frogs are night creatures here. It is the iguanas who bask quietly on the stone wall by the beach—camouflaged. My childhood pond or New England beaches could not compare to the majestic beauty of the blue-green ocean before me. What is special about the Osa Peninsula is being encircled by the beautiful ocean shore and the lush wilderness of a Costa Rican rainforest. What’s not to like? The hot sun in a picture perfect blue sky. Private beach fifty meters away. In December, January, February and March. It’s cold and snowing back home. 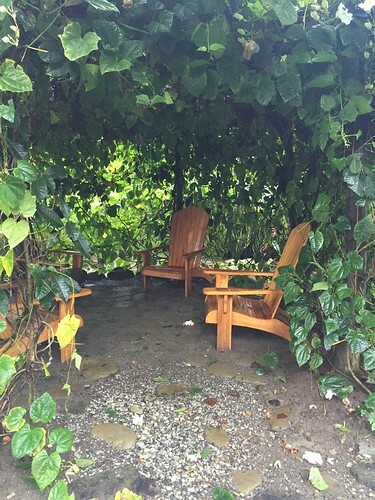 Even the pouring rains of Costa Rica’s rainy season in November did nothing to damping my enthusiasm. Nor upset the calmness and care I felt being here at Blue Osa. 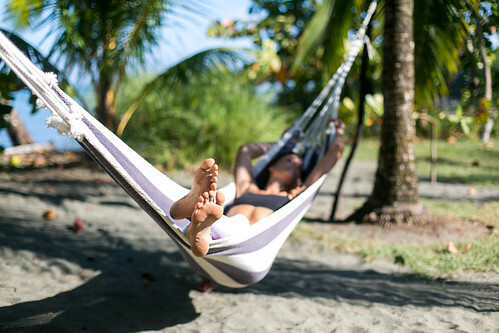 Blue Osa Yoga Retreat and Spa offer our guest space and time to relax and rejuvenate. However, here in the Osa Peninsula you will discover it is our surroundings which make Blue Osa special. 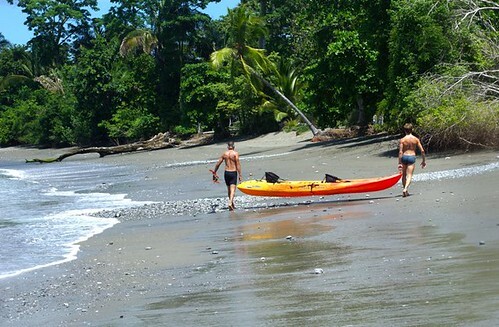 The unspoiled and natural beauty of the Osa Peninsula’s is what allows our guests to enjoy this sacred space and time. Guest feel at one with the natural surroundings. The healing qualities of the ocean, the rainforest and their inhabitants add to their personal journey’s. There is something mesmerizing in watching a pair of soaring scarlet macaws high in a sunlit sky. Pelicans diving under the waves catching surprising large fish in their long thin beaks. Toucans forging trees for fruit. The variety of birds inhabiting the peninsula range from hummingbirds to the king vulture. At Blue Osa we slow down to assess and appreciate our lives. Realize what is working well and where we might choose differently. 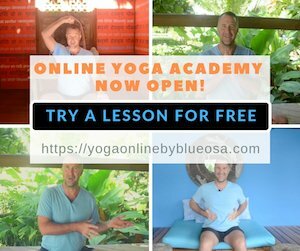 We use yoga and meditation to connect with our highest and purest selves. We reaffirm our beliefs, our values and our visions. We seek wisdom for guidance and direction. We practice mindfulness. Living in the present moment. Celebrating and enjoy life. While here we meet fellow sojourners. 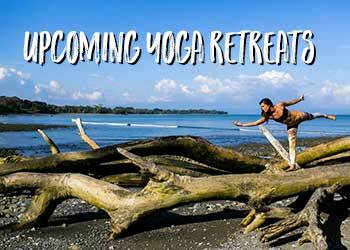 Blue Osa invites small intimate groups led by world-renown certified yoga instructors. The nature of these retreats still assures individual guest their time of undisturbed silence and solitude. For this beautiful moment in time we are a community. Individually we are restoring our restless souls. Together we can breathe new life into our world. 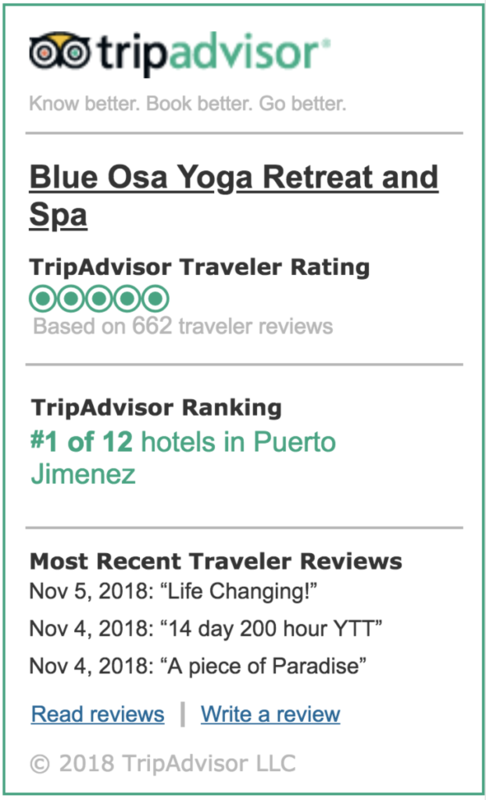 See All That Nature Has To Offer At Blue Osa! K. Kemah Wilson is a blogger and inspirational writer. Originally from Massachusetts in the United States, Kemah travels throughout the states for her inspiration and spiritual growth. 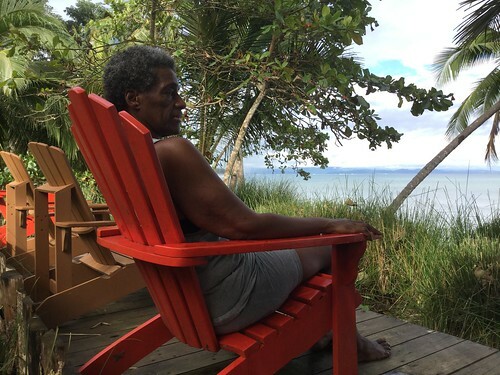 Writing for the Blue Osa blog is her first visit outside the U.S.
Kemah aspires to start her own spiritual blog in the near future. Reaching out to individuals seeking rest and refuge through her writing.